Last fall, Ameliya was diagnosed with a rare disorder called Guillain-Barre Syndrome (GBS). When she was sick with a cold a couple weeks prior, her body created anti-bodies to attack the virus; however, those anti-bodies turned on her and started to attack her nervous system and the myelin insulation surrounding the nerves. At the height of her illness, Ameliya could no longer sit up, walk, or hold her head up on her own. 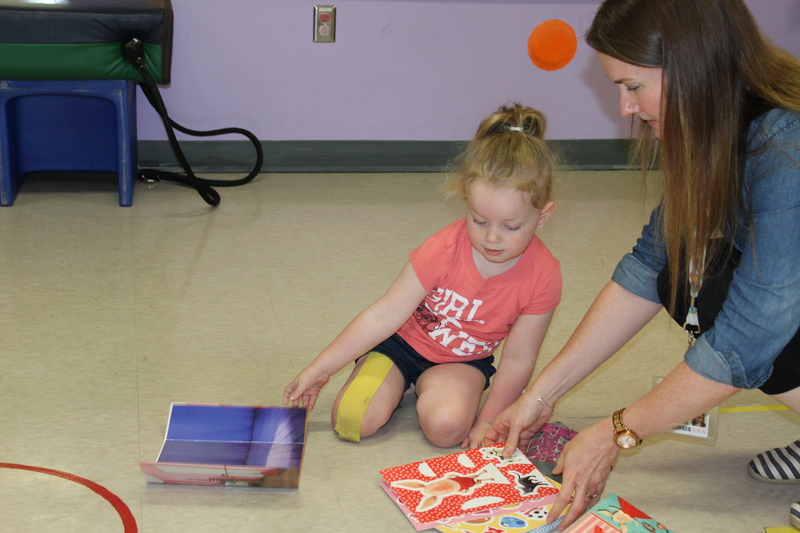 Following a lengthy inpatient stay at CHEO, Ameliya began attending therapy at KidsInclusive. She continues to amaze us with her strength, fighting spirit and her mischievous giggle during weekly appointments. 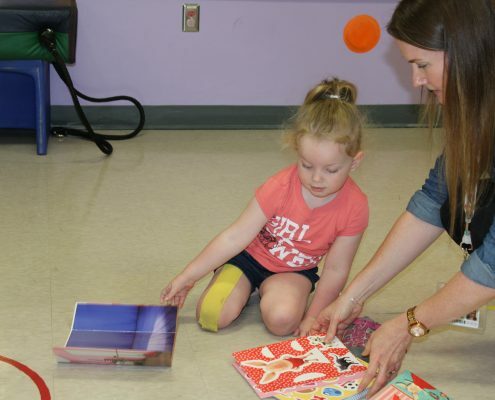 Recently, Ameliya’s family organized a fundraiser to raise awareness for GBS; community members had the opportunity to participate in a silent auction, enjoy great food, face painting and Little Rays Reptiles! The Pellett family graciously chose to donate funds raised to CHEO and KidsInclusive where Ameliya had received treatment, as well as the GBS Foundation to further research. 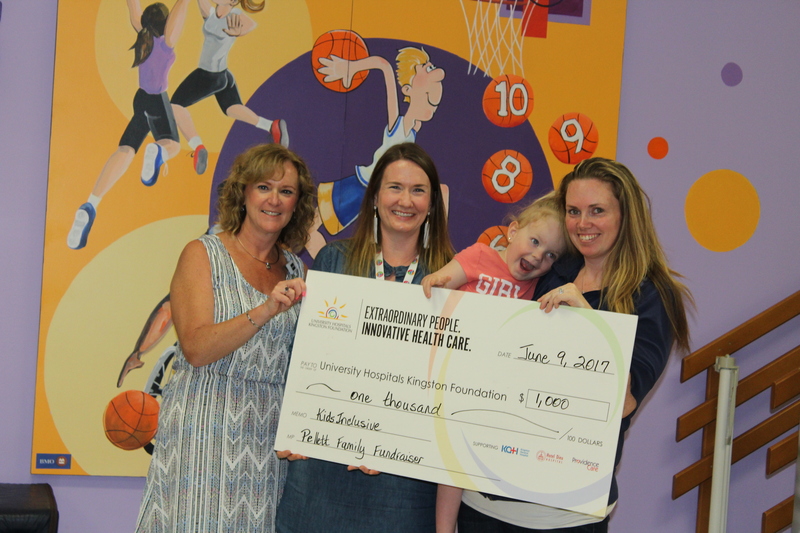 We were honoured to receive a cheque for $1000 from Ameliya and her mother Miranda! Thank you from KidsInclusive! FASD Awareness Day Breakfast (Sept 8, 2017) Everyone’s a rider at ICan Bike Kingston!